Embark on the exciting journey of creating with Metal. Get hands on training on the many tools required for cutting, bending, shaping, grinding, drilling, and welding steel in the MAKE metal shop. 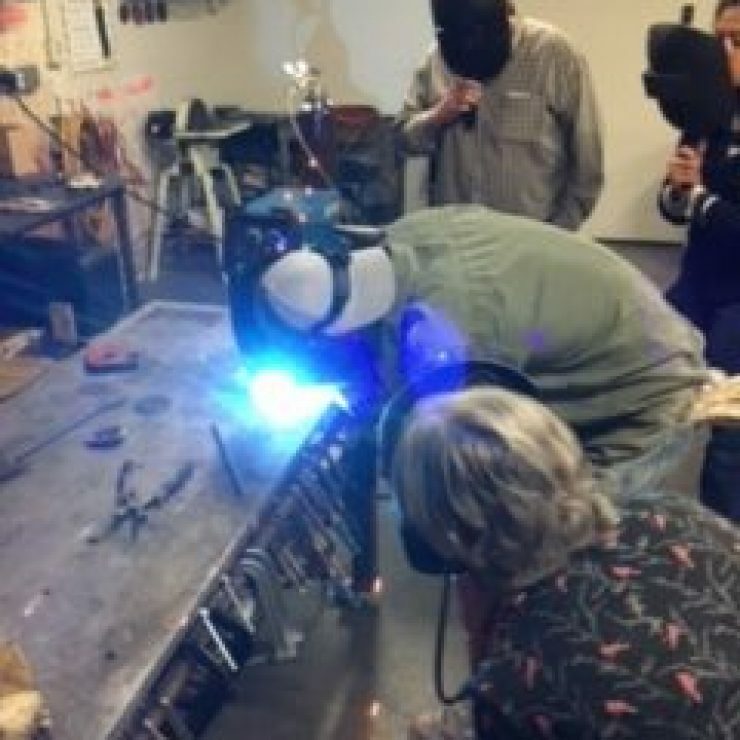 Students will go through the various steps and techniques required to build their very own ornamental steel table. Make steel bend to your whim and bring your metal dreams to life! Rock on! No prior metal working experience is needed to participate. Proper attire is mandatory: closed toed leather boots, long cotton or natural fiber shirt and pants (NO SYNTHETIC FIBERS ALLOWED). Long hair must be tied back.